The healthcare sector is expected to generate more than 2.8 million new jobs by 2022, with almost 30% of that increase being attributed towards medical billing and coding jobs. There is no denying the fact that medical billing and coding is exceptionally important today in the healthcare industry, especially with increasing costs and decreasing reimbursements plaguing most healthcare practitioners. As a result, there is an increased urgency for find simple and inexpensive methods to streamline medical coding and billing processes and make them more transparent. At the same time, due to their small sizes or limited resources, most medical practitioners often lag behind when it comes to keeping up with the latest medical coding, medical billing, and medical reimbursement guidelines. The medical billing and coding scenario has undergone significant changes in the past few years, including the disruptive, but eventually helpful introduction of ICD-10. These, and many other changes, such as increased scrutiny on payment errors, have made life tougher for people involved in medical billing and coding. At the same time, by streamlining your processes and identifying the hurdles, you can turn your medical billing and coding department into one of the most profitable parts of your business. Outsourcing not only helps you keep a tab on all the insurance providers who owe you money, but also gives you the free time to pursue overdue balances. Medical billing and coding is under increased scrutiny of payers nowadays due to frequent payment errors and overpayments. As a result, simple and inexpensive methods might not always work because of the human errors involved. On top of that, payers also continuously keep changing their billing and coding requirements, as a result of which medical practices need to be on the top of their game when it comes to submitting accurate bills. The amount of time spent by your back-office in making collections directly affects your businesses' cash flow. Manual collections result in a large amount of paperwork, hard copy mails, and staff overtime, each of which reduces your operational profits day by day. Your office staff should focus on other important aspects of the work, such as taking care of the patients, not manually dial phone numbers to make collections throughout the day. At O2I, we offer global healthcare companies a suite of medical billing and coding services that remains unmatched till date. If you want to maximize your revenue, increase collections, steadily improve efficiency, and reduce overall expenses, then our healthcare services are an ideal fit for you. 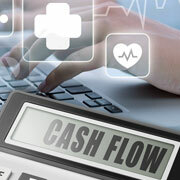 We have built our acclaimed healthcare revenue cycle management solution on a proven platform, allowing you to increase your cash flow through medical billing and coding services provided by our experienced professionals. Contact us right away and let us take care of your bottom line so you can run your practice the way you want.